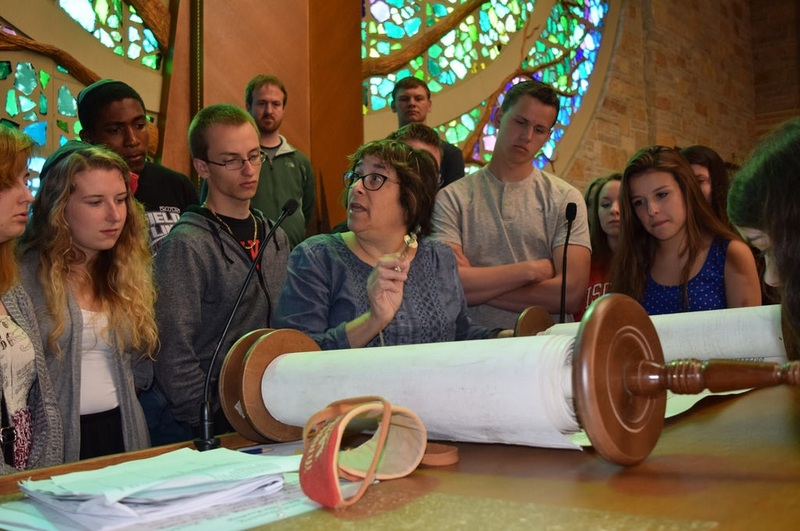 Click here to request a field trip or to learn more about our Field Trip programs contact us at HERC@MilwaukeeJewish.org. *A $30 non-refundable deposit to hold your group’s reservation is required. Jewish Museum Milwaukee is proud to bring back this popular, original exhibit after its first US tour. In 1997, the Strnad family in Milwaukee found an envelope bearing the Nazi seal while cleaning out their mother’s basement. Inside was a letter from 1939 written by Paul Strnad. Paul asked his cousin Alvin to help him secure an affidavit for he and his wife, Hedy, to escape Nazi-occupied Czechoslovakia. Paul explained that Hedy was a dressmaker and included eight of her designs as proof of her talent. Paul and Hedy did not survive the Holocaust. But her dress designs did. Realizing the letter’s significance, the family donated it to Milwaukee’s Jewish Historical Society. When the Jewish Museum Milwaukee opened in 2008, it became part of its permanent collection. In 2014, the museum worked with the Milwaukee Repertory Theater to bring Hedy’s designs to life. Currently traveling around the country, a digital version of the exhibit allows visitors all over the world to learn about Hedy’s story. With additional, never-before-seen content, it will continue to inspire children and adults alike. Vedem: The Underground Magazine of the Terezin Ghetto examines the literary magazine written by Jewish teens imprisoned at Terezin, a Nazi camp in Czechoslovakia during the Second World War. Using graphics, drawings, paintings, prose, and poetry, from 1942 to 1944 these brave teens secretly wrote and illustrated the longest-running underground magazine in a Nazi camp. Vedem, Czech for “In the Lead”, documented with defiance, humor, and heartbreak the voices of some of the era’s youngest resistance fighters, and the exhibit breaks down the original pages of Vedem to reconstructs them in the form of a contemporary magazine. *$25 group rate + $3 per student Museum entrance fee is required. Join HERC Educators on a visit to the Illinois Holocaust Museum & Education Center in Skokie, Illinois for their docent led museum program “In Our Voices”. *A discounted $5 per student Museum entrance fee is required. Travel subsidies are available. HERC Educators and Holocaust survivors will recount the history and stories of the Holocaust in this contemplative outdoor setting located at the Harry & Rose Samson Family Jewish Community Center in Whitefish Bay.